I know that I’m not unique in that I grew up hearing some things, things that the modern, more logical-leaning mind would find utterly bonkers. My grandmother kept an eye out for certain creatures that could cross her path and harm either her or a loved one. Screech owls outside of a bedroom window, certain white animals, certain black animals, or just creepy animals watching her with too much interest were all cause for worry in that it was possible that they were more than they appeared. It was possible that they might be omens. Now, this is NOT a purely West Virginian thing. Here, in my new home of Pennsylvania, there is a very popular legend of a black dog (black dogs are popular death omens to many Western Europeans). 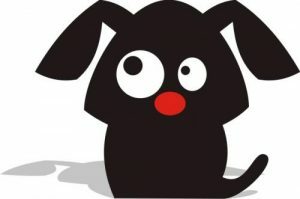 If you see the black dog three times, it means your death. In West Virginia, if the lore is to be believed, the animals are usually white. According to our handy dandy Ruth Ann Musick classic, The Telltale Lilac Bush, the thinking behind the animals usually being white is biblical. Death, after all, rode a white horse. And seeing a white horse, especially in the wilds of the mountainous region, was not normal. Not at all. In our guide book, there are two chapters that I’m going to pull from today. The first, being Omens of Death. This chapter has two of the creepiest stories (to me) that the entire book has to offer. The first is the tale of Shiny Eyes. Shiny Eyes was a monstrously huge beast that started appearing near an anthracite mine, scaring the miners and their families. Shiny Eyes kept appearing until a big explosion happened in the mine and several people were killed. After that, Shiny Eyes was never seen again. Like West Virginia’s most famous beasty, Mothman, Shiny Eyes gives me a case of the creeps because it came as a harbinger of a massive disaster, scaring the beans out of everyone in the process. And a giant monster with lamp-like eyes stomping around a mine just isn’t right. Nope. Not at all. The second tale in this chapter that gets me nervous is a tale called A Ride with the Devil. Now, let me preface this by making it clear that some stories in this book are told in such an earnest way that you find yourself believing it could be possible. Others, like this one, are told in a way that reminds me of drunk uncles talking of UFO’s (oh that tales I could tell). However, as a kid, this story scared the bejabbers out of me. Now let’s talk about the prophetic. In our book, the chapter is called Deadly Visions and Musick admits that she, herself, experienced prophetic dreams that detailed the deaths of loved ones that came to pass in the waking world. She questions them, of course, making the excuse of massive amounts of stress, but it makes for good tall tales regardless. The best story in this chapter is called Grandfather’s Clock. In this one, a man wakes up in the middle of the night screaming that Abraham Lincoln was just shot. His wife tries to soothe him, but he won’t listen, insisting that he was there. He marks the time and the date on his old mantle clock. A few days later, news gets to the town that, indeed, the President had been fatally shot. The family kept that clock, with the stopped hands and the writing on the face detailing the date and time of Lincoln’s assassination. That’s a hell of an heirloom. I think the idea of prophetic dreams or visions is creepy because I don’t think a sane one of us living now wants that. I don’t want a dream telling me that someone I love is going to die. I don’t want to have a vision of a visitor telling me they love me and then learning that they had been in a terrible accident. Thinking that people maybe endured that very thing is good reading, but…no. None of that for me, please. There’s also, of course, the Cassandra Effect, where even if that vision you had was truly prophetic, nobody is going to believe you. So what good are they? That’s all for this week folks! We have but one of these left. Yes, next week ends my summer blog series of my horror heritage as a West Virginian and I thank you so much for hanging with me through this fun little project. Next week, let’s talk about watery graves, okay? After this is all done, I have so much news to share with you!